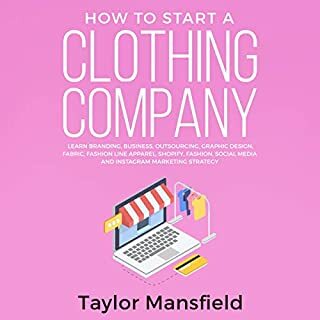 How to Start a Clothing Company: Learn Branding, Business, Outsourcing, Graphic Design, Fabric, Fashion Line Apparel, Shopify, Fashion, Social Media, and Instagram Marketing Strategy contains everything you need to know to get your clothing business up and running. By the time you finish, you will be able to start a successful clothing company. 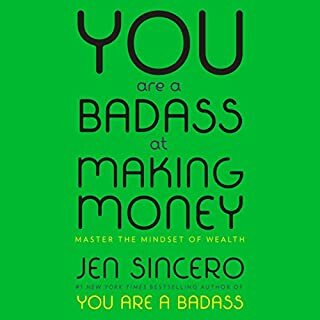 There is a lot of information out there about starting your business, but this audiobook takes the most information and puts it together in an easy-to-listen-to, concise format. Do you want to create an online empire? Do you want to create online income to create financial freedom for you for the rest of your life? Maximize efficiency and learn how to run both business models and combine them for massive success. Learn how to create six-figure incomes from both. 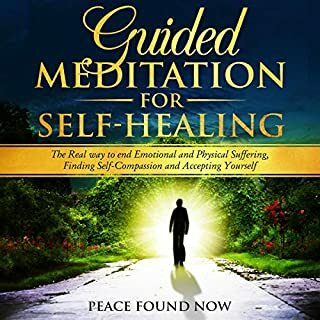 This audiobook delivers the results you want; listen to learn how to uncover your potential and how to make it happen. This how-to manual is your guide to creating and operating an amazing business online. 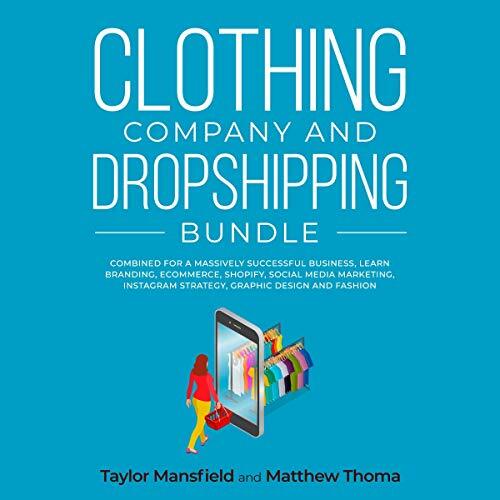 Learn about a variety of common and uncommon scenarios related to dropshipping and using sites like Shopify, Instagram, and eBay to your advantage. Even discover how you can combine other online sales strategies like affiliate marketing to optimize your business. The advice presented here is to offer a comprehensive introduction to the opportunity before you. A great introduction to e-commerce business. A great introduction to e-commerce business. I thought this book was great and taught me so much about e-commerce business. Very useful book. Provided a lot of good information about Dropshipping. The book is clearly written with practical exercises. I'm really looking forward to using this bundle. I am so much interested to read this book. I am so much interested to read this book. After complete listening this book I am so much thankful to the author for his great creation. 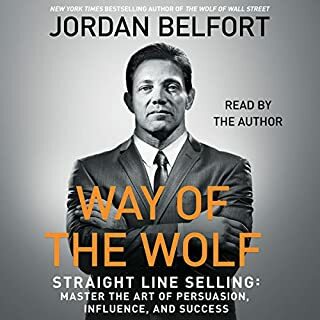 Also, I learned all about the specifics of the Shopify platform and what makes it the best choice when it comes to starting my online store.After complete listening this book I am so much thankful to the author for his great creation. Also, I learned all about the specifics of the Shopify platform and what makes it the best choice when it comes to starting my online store. Very easy listen. If you are wanting to learn more this subject, I would highly recommend. Highly recommend. 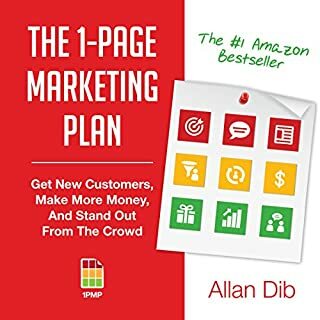 In this book you learn everything that goes into a frontal end sales funnel, back-end sales funnel, marketing, re-targeting, the no-nos of advertising, market research, product research, price research, suppliers, building ideas for niches/products. Wow! This is such an informative listen! Wow! This is such an informative listen! 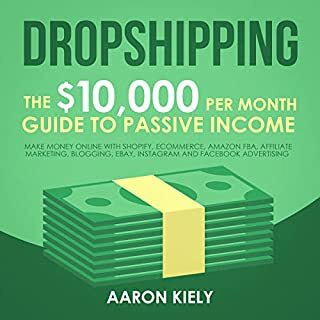 This book is a well- explained listen to learn and understand Shopify, also this book has proven tips and just a few steps are available which are helpful to make a smart passive income. Well, with a positive mindset and determination, the ten proven steps in this book will bring you success in selling your products. I would highly recommend this book! Useful guide that show you how easy it’s to start a dropshipping business. The Shopify and Dropshipping combo were a good combination. I appreciate the author taking the time to teach us what exactly Shopify and Dropshipping is. Success comes with hard work. Success comes with hard work. This bundle is really good! Good information about E-Commerce business and how to make money online selling. Guide contain very useful information. Rubbish mostly common sense fluffed out like this review blah blah blah dont waste your time.